Starting with a three-way tie! An anthem to bring those nostalgic memories of pain and heartbreak, taken from 'Boom Boom Room (Side B)', this is a groovy song to really dance to whenever it comes on. Even better when the band are in the room playing it live! An as yet unreleased song, fans are extremely lucky to hear this beauty of a song in all its live glory. Soft and melancholic whilst also gripping the listener with instrumentation that just pours emotion, it's definitely a treat for anyone in attendence to hear 'Wasted'. Although not part of their setlist at recent shows, let's hope that a studio version will be on its way soon. "All these songs are in my head again, head again", and so is this rock and roll gem from 'Boom Boom Room (Side B)'. That "We live in an age" bridge pleases the crowd everytime. Another unreleased song! The fact that it is being performed a lot, especially at recent shows, might indicate that a studio version will be coming down the line soon... Right? The lead single off 'Boom Boom Room (Side B)', this charging power-driven song certainly feels at home within the setlist as it continues to be performed in recent shows. A celebration of those that celebrate their youth and are unabashedly themselves no matter what, its disappearance from recent live shows is felt strongly. At least we still have the studio version from 'Boom Boom Room (Side A)'! That guitar riff at the beginning gets people excited for the right reasons. As the lyrics say "Let's go dancing to the alter", fans will be jumping up and down to this setlist highlight. 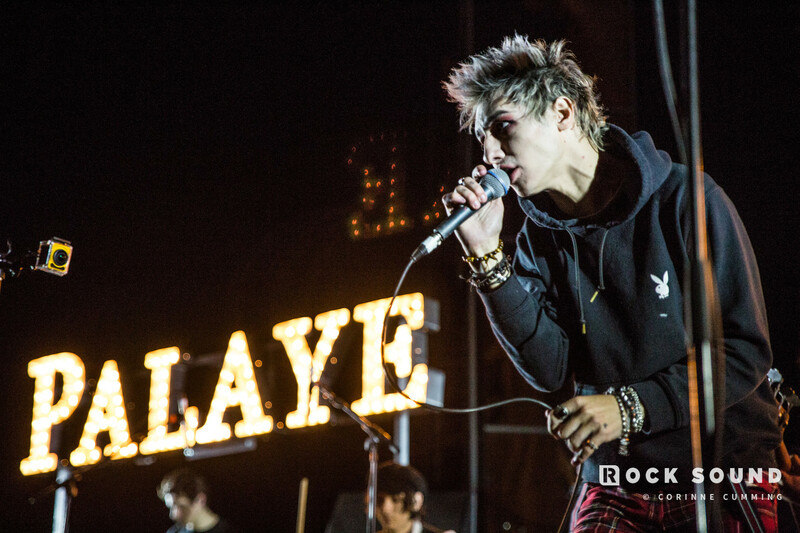 As much as we miss My Chemical Romance, this cover from Palaye Royale is a nice remedy for all emo hearts everywhere. Another exclusive to their live shows, the band truly make it their own and try to give the classic their own twist. Even though this song premiered back in 2013, 'Get Higher' was featured as a bonus track on 'Boom Boom Room (Side A)', and as new material has come and gone, it's continued to be performed at live shows, even at recent shows! Another from 'Boom Boom Room (Side A)' that's made its home within the band's setlist permanently, the spectacular sounding music and clever lyrics ensure that this fan favourite isn't going anywhere! This show opener has remained on the set list since the 'Boom Boom Room (Side A)' days, and judging by its 2.6M views on YouTube alone, it doesn't look like it will leave anytime soon. Keep jumping for this track as it blasts through eardrums and makes fans dance like crazy! It does feel quite right that it should be at the top of this list.